The Langjökull glacier is a sight that needs to be seen to be believed, and in June 2015, tourists will get the opportunity see the blue ice from below in Icecave Iceland. It is the scenery in the country that is a major draw, with geysers, glaciers, and the Blue Lagoon among the top attractions. If you are in the Reykjavik area, you need to take the trip to the Langjökull glacier so that you can access the tunnel that runs below it. 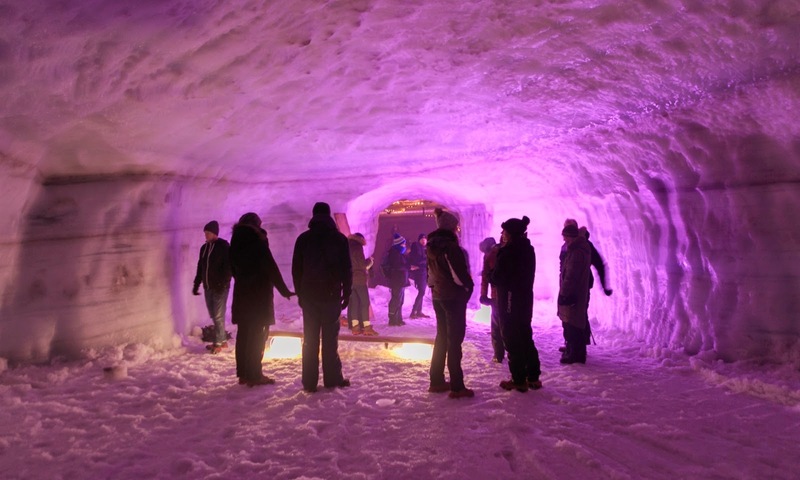 Icecave Iceland will allow visitors to see the glacier in a way that was never possible before. Seeing it from below gives an idea of how the natural wonder formed in the first place. The Langjökull glacier sits to the north east of Reykjavik, and is the second largest ice cap in Iceland at a staggering 953 km2. The ice that you will see on the glacier has been formed by snow that has compacted over a period of thousands of years. The shades of blue in the thick ice are subtly different, with each hue representing a different snowfall period. Ice experts are able to carefully analyze each of the layers to get data about the snowfall and weather conditions in each period. The layers that are closer to white in color indicate periods of extreme cold. The whiter shade is caused by air crystals trapped in the ice. The layers that are a darker blue are those which were created when the snow fell while the weather was wetter and warmer, and where only a small amount of air became trapped. All the weight and trapped air from above compresses down and creates a brilliant blue color at the very heart of the glacier. 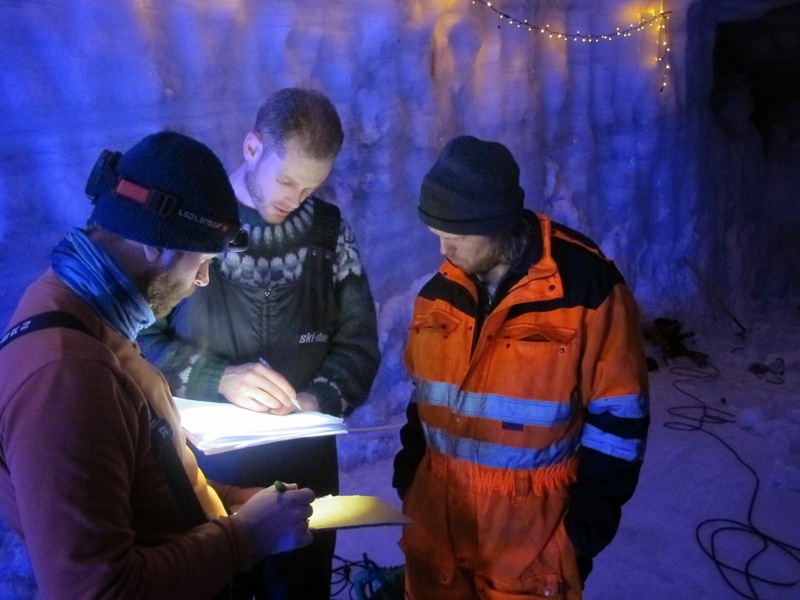 When Icecave Iceland opens in the spring, visitors will get the opportunity to explore Langjökull glacier inside and out. Finally, that brilliant blue color that lies at the heart of the glacier will be exposed for all to see. 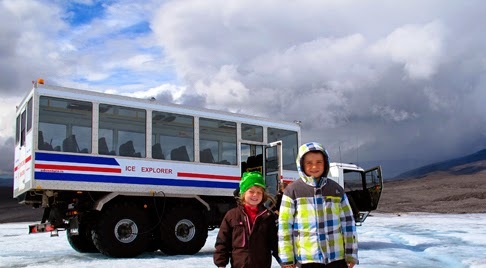 Tour groups will travel up to the glacier via 8-wheel super drive trucks that are designed to tackle the hostile terrain. 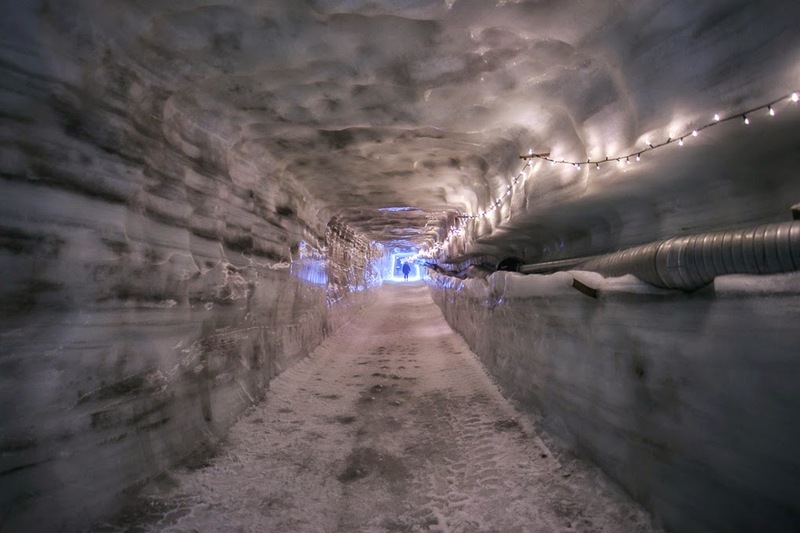 Exclusive groups will have the opportunity to take a thrilling ride below the glacier, where they will be treated to a host of interesting facts on the way down. When they hit the bottom, they will be in the blue heart of the glacier. Weather permitting, the tours will be open to visitors between June and October. There are a number of glacier caves dotted throughout Iceland, but they are all seasonal, forming during the warmer months of the year. 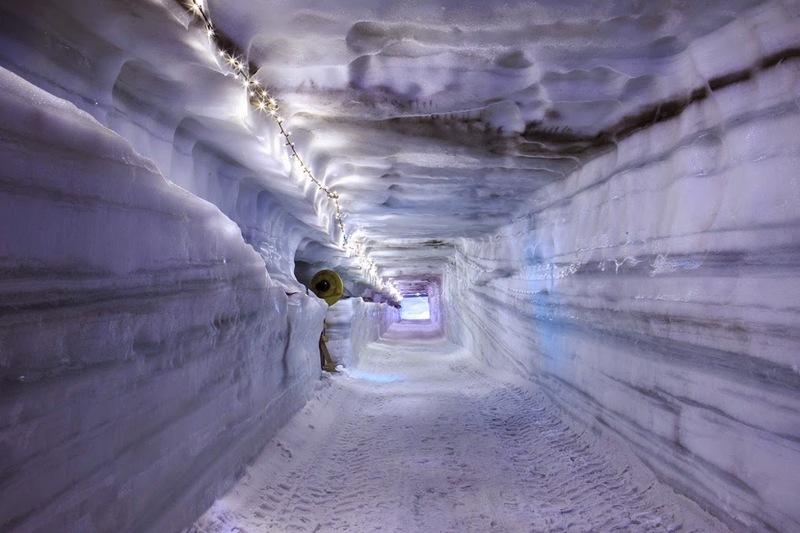 Even if you have visited a glacier in the past, we can guarantee that it was nothing like this. 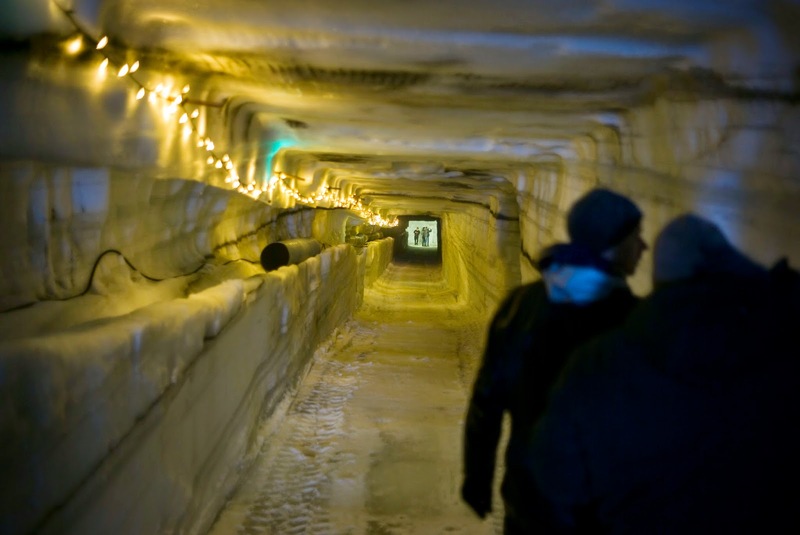 You don’t just get to walk on top of the ice, you get to take a once in a lifetime trip below the surface. You will be in awe when you see the stunning array of colors that lie beneath the surface of the Langjökull glacier. 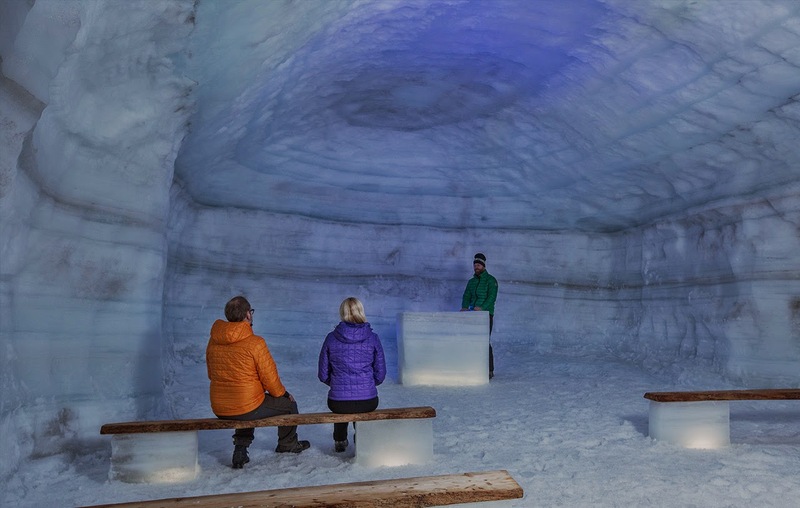 You are essentially getting three distinct ice tours with this package, as it encompasses every aspect of the glacier. 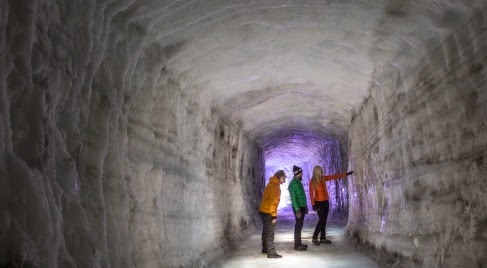 You get to explore around, on, and inside the massive 953 km2 glacier. There are also a couple of great stops on the way: the Deildartunguhver geo-thermal hot spring and the incredible Hraunfossar waterfall. On the return trip, you will make stops at the highland track of Kaldidalur, and Þingvellir national park. This is a day trip that touches on all the things that make Iceland so special. Essentially the same trip as outlined above, but with an additional stop in Gullfoss to see the iconic Geysir. IS THIS CAVE VISITABLE ALSO IN SUMMER?